At Rainbow International, we provide a wide range of disaster restoration and cleaning services that include water damage restoration, fire damage restoration, mold removal, and carpet cleaning among others. We are ready to respond to your emergencies 24 hours a day and dispatch a team of technicians to your property quickly to begin the restoration. We have been located in San Juan, TX for over 15 years and have proudly serviced our local community, including providing fire damage restoration for Donna High School and water mitigation for Pioneer High School in Sharyland, TX. You can reach us 24 hours a day at (956) 622-7349 for emergency services in San Juan, TX and the surrounding areas. 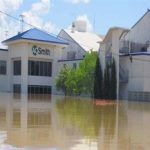 It is very difficult to avoid water damage on your property because there are always several ways in which it can happen. 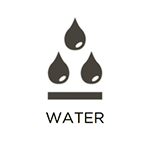 Water damage can occur as the result of natural conditions like rain, flooding and humidity, or due to problems inside the home or building such as leaks, broken appliances, or overflows. Any amount of water damage is dangerous because it penetrates most common building materials, leading to structural damage and mold growth. At Rainbow International, we can reverse the effects of water damage for homes and businesses in San Juan, TX with our water damage restoration services. We will effectively remove the water and moisture from the affected materials and restore the damaged areas. 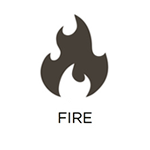 When a fire occurs, there is usually little you can do other than evacuate the home or building for your safety. Once you have ensured that everyone has evacuated, you should call 911 to have the fire put out. It is important to remember that putting out the fire will not stop the damage as smoke and soot will continue to make the damage worse throughout your property. As soon as the fire is out, you need to call Rainbow International. 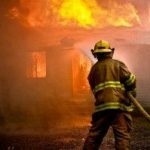 We provide complete fire and smoke damage restoration services in San Juan, TX to help cleanup homes and businesses affected by a fire. We can effectively stabilize and repair structural damage caused by the fire and cleanup the effects of smoke, soot, and other corrosive byproducts. Certain disasters can result in more than just physical damage to your property. Fires, flooding, mold growth, and other disasters can leave a foul, unpleasant odor in the home or building that is difficult to tolerate and eliminate. When odors are left in your home, they can get absorbed into the building materials, air spaces, and furnishings, making the odor more intense. Rainbow International provides deodorization services in San Juan, TX to remove lingering odors left by any kind of disaster. We use advanced deodorization methods and technology to extract the odors from the affected materials and leave your property odor free. When a disaster occurs, there is no telling what type of property damage you will be left with until the disaster passes. Most of the time, disasters do not discriminate and cause widespread damage to your personal belongings as well as the furnishings and structural elements of your home. In the event of a disaster, it is important to take note of your damaged items and ensure that they are cleaned and restored right away to give them the best chance of being saved. 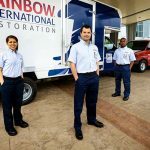 Rainbow International provides content cleaning and pack-out services included with our disaster restoration services in San Juan, TX. We can take care of the cleaning and restoration of your damaged items on your property if the conditions allow, or take them to our facility with our pack-out services for complete restoration and storage. 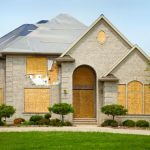 Many common disasters, such as fires, flooding, and mold growth, can result in serious structural damage that may leave your home unstable. It is also possible for these disasters to damage your roof, windows, or siding, leaving large openings in your home. If this happens, your home will be exposed to rain, wind, animals, vandals, and other outside elements that will only worsen the situation. You must get your home or building stabilized immediately after sustaining such serious damage. Rainbow International provides emergency board up services in San Juan, TX to stabilize heavily damaged homes and buildings and keep them protected from further damage. We will quickly cover any openings that leave your property vulnerable and ensure that the structural core of your home is stabilized until it can be repaired properly. If the roof of your home becomes severely damaged, it can make your entire home vulnerable to further issues from rain, wind, and other outside elements. It is very important for severely damaged roofs to be covered immediately to protect the home from further damage. Rainbow International provides tarping services to cover damaged roofs for homes and businesses in San Juan, TX. Covering your roof with tarp will temporarily protect your home from further damage until the roof is restored. 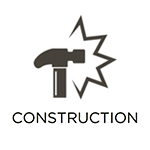 Dealing with severe damage to your property that requires construction services is an overwhelming ordeal. The scale of this type of damage can be heavily disruptive to your life and the repair work may take weeks to complete. At Rainbow International, we simplify this process with our reconstruction services in San Juan, TX. We can provide complete construction services to rebuild your home or building, as well as full restoration services to handle every aspect of the damage. 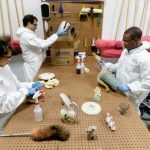 Mold is a relatively common issue in homes and buildings, but it can become a major problem if not addressed properly. Mold often occurs in moist areas because the spores need water to grow, and it latches onto and feeds on common building materials in your home, making it quite destructive if given enough time. 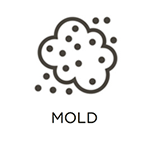 The presence of mold also greatly increases the risk of health issues caused by mold exposure including allergies, asthma, and respiratory infections. Rainbow International provides complete mold remediation services to remove mold from homes and commercial buildings in San Juan, TX. We use advanced methods and equipment to safely remove mold and prevent it from spreading in the process. Hoarding disorder is a serious mental condition and the behaviors of those who suffer from the disorder can create dangerous and unsanitary conditions in their homes. People who suffer from hoarding disorder have a form of anxiety that makes it difficult to throw anything away. This leads to clutter buildup in the home that will become excessive enough to block off paths within the home, cause injuries, increase the risk of a fire, and allow mold, bacteria, and pests to survive. 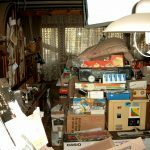 Cleaning up the home of a hoarder is a dangerous job, which is why you should call a professional like Rainbow International for help. 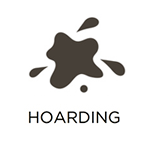 We can provide complete hoarding cleaning services in San Juan, TX to help restore the home to safe living conditions. Our technicians take a sensitive approach to the situation and work with the affected individual to ensure that they are involved through every step of the process. The carpeting is an important furnishing in homes and commercial buildings because it plays a key role in the look and comfort of a room. When the carpeting is dirty, discolored, or worn out, it can give the entire space the impression of being dirty. Carpeting in homes and commercial spaces consistently accumulates dirt and debris deep in the fibers from foot traffic which can give the carpet a dull appearance and contribute to wear and tear. The best way to preserve the look and life of your carpet is to have it professionally cleaned. 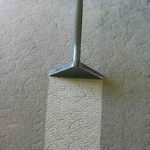 Rainbow International provides carpet and area rug cleaning services for homes and businesses in San Juan, TX. 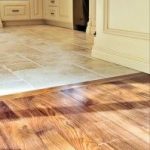 We use advanced cleaning methods to completely remove dirt and stains and restore the original appearance of the carpet.